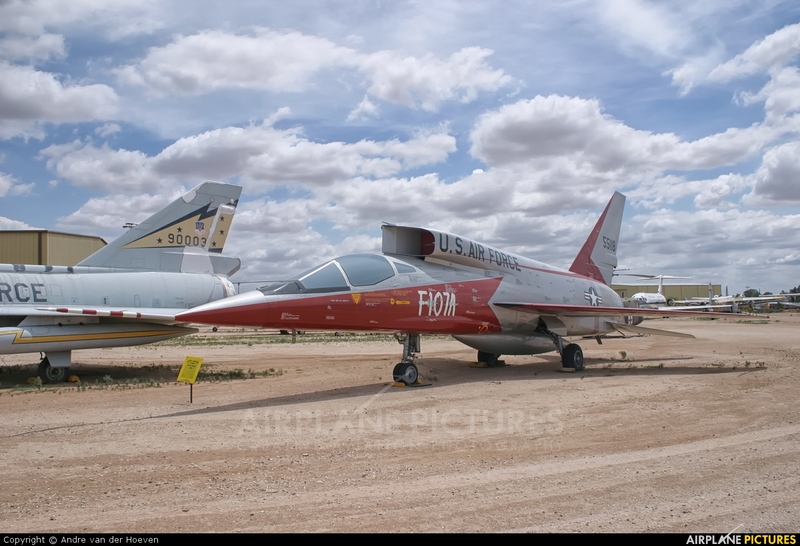 Image showing one of the two surviving prototypes of the North American F107. This aircraft was in competition with the F105 and lost. Only 3 were built, of which one crashed and the two others can be found in museums nowadays.